Looking to gift your fashionable ones the trendiest apparel and accessories? You can’t go wrong with a Splash eGift Card endorsed by none other than Bollywood superstar, Salman Khan! Splash offers trendy fashion & accessories for men, women and teens. It’s the perfect eGift Card for your stylish loved ones! Headquartered in Dubai, Splash is Middle East’s largest fashion retailer and part of the Landmark Group, one of the biggest retail conglomerates in the Middle East, India and Africa. With an eye for the latest global trends and reflecting an everyday attitude, Splash binds together a collection that creates a definite style statement. The Splash Calendar and Splash Fashion Shows are by far the most popular annual and bi-annual events in the brand’s portfolio of events. Showcasing popular collections for men, women and teens, Splash offers its customers a unique shopping environment by categorizing its collections like Splash Youth, Splash Woman, Splash Accessories, Splash Smart, and Splash DNM alongside featuring international brands like Lee Cooper, Bossini, ELLE and Being Human among others. Splash Fashions has a range of clothing which are suitable for work, home, or just a regular day out. For men, there are the latest collection of shirts, and t-shirts that are good for everyday living as well as colorful trousers, shorts, and jeans in addition to several dressy and casual shoes. For women, there are a range of Formal Shirts, jumpers, blazers, cardigans, as well as dresses and skirts. Nothing spells chic and smart casual like Splash Fashions. The Splash Fashion kids store offers stylish clothing for juniors and would make it an ideal gift for a baby shower or for your trendy friends who like to dress their kids in the hottest fashions! Your loved one can also choose from a range of accessories such as scarves, gloves, hats, belts, cuff links, watches, bags, and sunglasses. 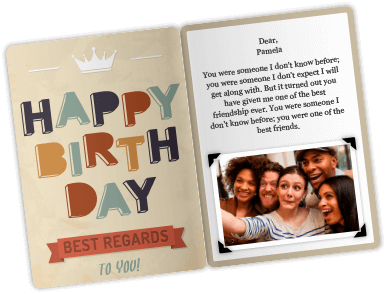 Whether you are looking to gift him, her or kids, Splash eGift Card is great for any occasion and your pocket, whether for a birthday, graduation or just to say “thanks”! 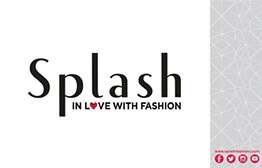 This eGift Card is redeemable for only Splash merchandise offered in listed Splash Fashion Stand Alone outlets in UAE. 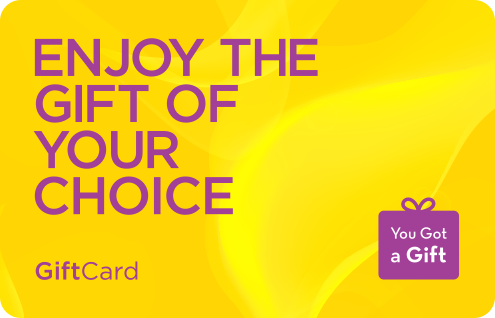 This eGift Card will only be activated 12 hours after purchase or if exchanged to a Splash eGift Card. This eGift Card is not valid in conjunction with any existing promotion/offer/discount. Shopping was very easy and convenient!